LEVELROCK®2500 is engineered to deliver compressive strengths from 2,500-3,500 psi, LEVELROCK's lower water requirement delivers increased resistance to surface abrasions and can be installed before sheet rock. It's ideal for use over wood & concrete subfloors as well as over Acoustical Sound Attenuation Mat in single-family, light commercial, and multifamily construction, as well as renovation projects. 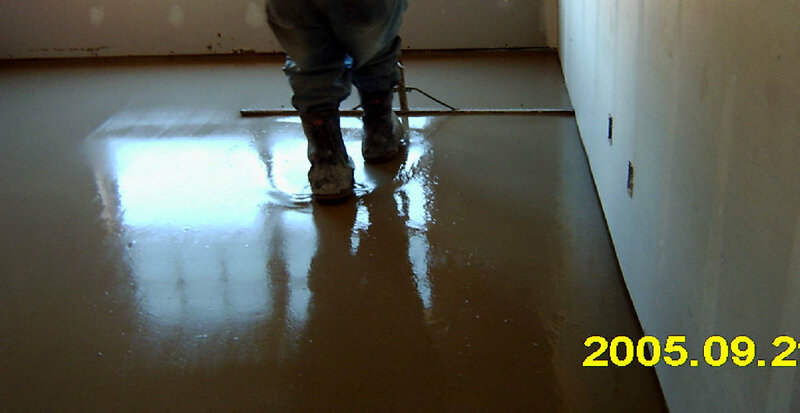 Its crack-resistant surface provides a perfect base for most floor covering. LEVELROCK® brand 2500 floor underlayment offers the highest compressive strength in its class, providing low-thickness applications over plywood subflooring in single-family, multi-family and hotel/motel construction. This underlayment helps maximize sound isolation between floors/units and may be used with a Levelrock™ brand sound mat or sound board for improved STC and IIC ratings. Applies at thickness of just 3/4-in.